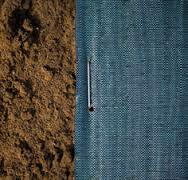 Duracover-The Revolutionary Biobased Ground Cover- Bye Bye Weeds! Have you discovered this revolutionary ground cover yet? The principle behind ground covers is simple: by minimizing the translucency (keep light out), you limit the germination and growth of weeds. Woven ground covers are also water-permeable so that rain can get through to the soil without difficulty. 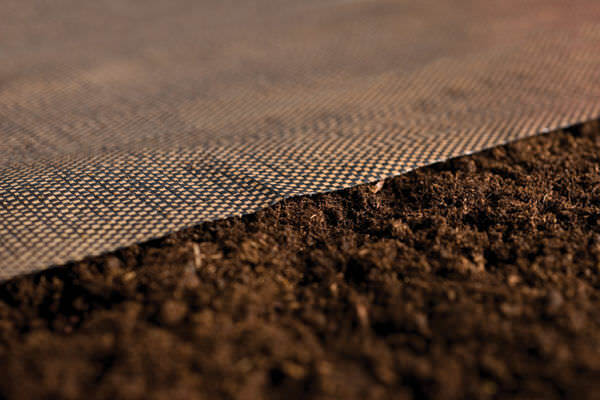 Traditional ground covers are made of polypropylene. We now offer the ecological alternative: Duracover. This ecological ground cover, the first new product of our new green Bonar Biobased Textiles line is the result of years of research at the Bonar Research Center. The launch of Duracover is a worldwide premiere. Never before has there been an ecological alternative for the traditional ground covers that also retained the quality and ease of use. Duracover is made of material based on lactic acid chains. Bonar offers a fully fledged biobased alternative, which greatly reduces the amount of plastics. How does Duracover make the difference? The arrival of Duracover is the start of a new era, a new generation. It is innovative; it is revolutionary. Duracover is very user friendly. It weighs up to 90% less than other biobased materials and is easier to cut. And with much better results. It has a long life, is more effective against weeds, and will not attract rodents. The compactness of Duracover also reduces the amount of transport required: saves money and saves the environment. Duracover can also be used as a separation fabric, for example between a ground layer and ground-covering materials, such as gravel, bark chips. etc. Quality Sustainability does not mean compromise on quality, however where others have failed, we have succeeded. Duracover is made of compostable material and is 100% quality. Duracover is very user friendly, almost completely opaque, with good water permeability, UV resistant and very strong. In short: Duracover is the ecological alternative with the best quality. 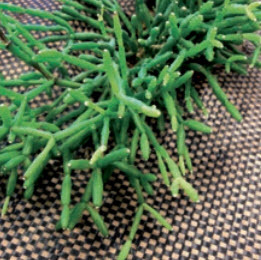 Duracover groundcover is also revolutionary from an aesthetic perspective. For maximum integration into the landscape, Duracover does not have lines like traditional ground covers do. The way to Duracover Bonar has been conducting extensive research for years into developing a PLA-based ground cover. The basic idea was to create completely biobased ground covers that are effective against weeds and provide optimal drainage. The researchers from the Bonar Research Center therefore looked for the optimal combination of light transmission and water permeability. Many years of research bore fruit: Duracover is PLA-based and fulfills the requirements of an excellent ground cover. Duracover has been tested extensively, both in the lab and at different test sites. Researchers subjected it to a variety of tests of UV resistance, water permeability, light transmission and the impact on plant growth. Sustainability & Ecology Reducing plastics in nature Duracover is made of material based on lactic acid chains. Bonar offers a fully fledged biobased alternative, which greatly reduces the amount of plastics. Sustainable product development With the choice of Bonar Biobased Textiles, we are striving to achieve sustainable product development. Moreover, the production of Duracover by Bonar is done with 100% green electricity. Certificates Duracover was awarded the AlB Vinçotte OK Biobased and OK Compost certificates. ‘Biobased’ refers to the use of renewable materials to fabricate products. The corn-based PLA is the raw material used in Duracover. The four-star biobased rating gives Duracover the highest possible ranking. The OK Compost certificate refers to the full compostability of Duracover. Guarantee Bonar offers a 3 year guarantee* on the complete Duracover range.